Built in Bishopsgate by Samuel Beazley and opened in 1835, seating 2,500. 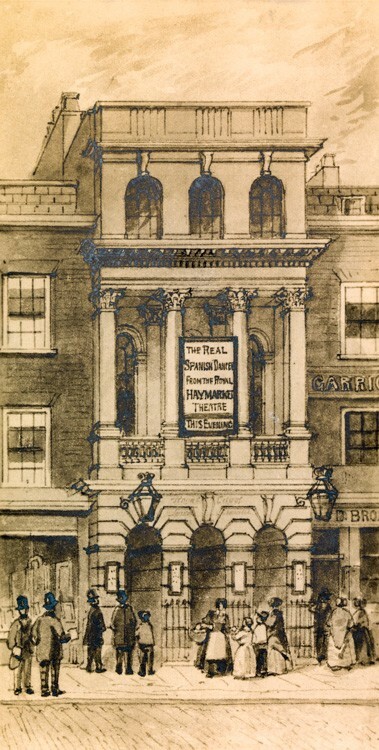 Renamed the Royal City of London Theatre in 1843 and the New City of London Theatre in 1859. Destroyed by a fire in 1871. Unknown artist in the style of J Findlay. From the Yale Center for British Art Paul Mellon Collection.